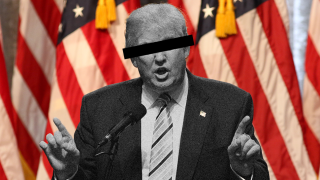 Part one of our series exploring Trump's plans for online privacy. We can’t. But we can protect ourselves. With security tools such as the TOR browser or a logless VPN provider, we can defend our online privacy — but it will not come effortlessly. In contrast to the rank and status change of the Homeland Security Advisor, other cabinet picks have caused some anxiety. His selection to head the Central Intelligence Agency (CIA), Mike Pompeo, has already called for a return to bulk collection of calling records. This process had been halted last year thanks to the passing of the USA Freedom Act following the revelations of whistleblower Edward Snowden. If policies should revert to bulk collection, just about all of your personal information will be readily available to the government. Most recently, the promotion of former NYC Mayor, Rudy Giuliani, to head an unnamed cybersecurity advisory group in an unnamed position has industry pros scratching their heads. While Giuliani does have ties to a security consultancy business, Giuliani Partners, his security expertise does not lay in cyber. In fact, the website for Giuliani Partners is riddled with security vulnerabilities. Among Trump’s many critics is Timothy Edgar, the academic director of law and policy for Brown University's Cybersecurity (EM) program. In recent essays, Edgar noted that President Trump would actually have the power to potentially — and legally — shut down the internet in the U.S. as a response to a national security crisis, similar to the way that Turkey has been as of recent.